Supporting promising research and encouraging scientific work in nutrition are the primary ways in which the Danone Institutes advance scientific knowledge on the links between diet, nutrition and health. The Danone Institutes encourage research in human nutrition through credits, grants, awards, fellowships and scholarships awarded to students and researchers working in not-for-profit institutions. Since their creation, the Danone Institutes have sponsored more than 900 different research support programs in 15 countries. You will find below the actual opened calls for application as well as short presentation of the regular local supports. The rules (frequency, type of scientists, amount, and condition of application) are specific to each country and we invite you to contact your local Danone Institute to know more about their local research programs, grants or awards. There are no open calls for application at the moment… learn more about the regular supports proposed each year. 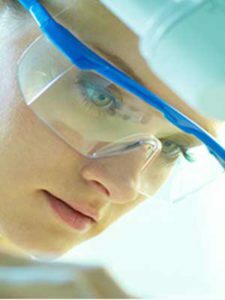 In 2016, the DI Belgium has awarded 2 Prizes to support nutrition research in Belgium, for their contribution on research on gut microbiota and health. In 2017, the DI Belgium has supported specific research projects on: “Contribution of dairy products – yogurts, fermented milk – to Human health”; “Intestinal microbiome and health” or “Impact of family meals or eating in groups on nutritional quality of meals or eating behaviors”. For the 2018 edition, the DI Belgium supports the “best article”. The objective is to recognize a scientific publication for its content, comprehension and accessibility to a large audience. 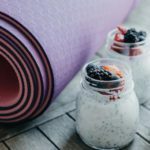 The Danone Institute of Canada’s mission is to promote the sharing of scientific knowledge in nutrition, not only between researchers and health care professionals, but also among the general public. In keeping with this objective, the DI Canada has offered in 2016 an award for the most effective communication of nutrition science for the general public. DI China supports research projects every year through the Danone Institute China Diet Nutrition Research and Communication Grant. The grants allows the support of 10 to 12 projects achieved within 1 to 2 years in China. Learn more about the prize and the previous laureates on DI China website. DI Indonesia propose its Competitive Research Grants for doctorant students and researchers: Food, Nutrition, and Health related topics. Danone Institute of Japan Foundation (DIJF) annually supports scientific studies on food and nutrition, including studies to prevent various life-style related diseases, with the aim to promote and encourage researches on health and nutrition in Japan. The 2019 call for application is closed since July 31, 2018. The DI Spain proposes several calls for application for Prizes and research supports in the field of nutrition, food and health, with several categories of Prizes : recognition of a scientific carreer, support of scientific communication and research project supports. In 2018, the Danone Institute Spain will award the Dr. Carles Martí Henneberg Award, with a cost of 20,000 euros. 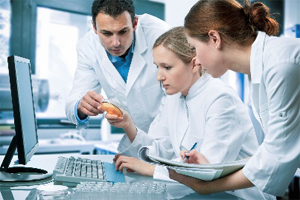 This award will recognise the research work of a scientist of Spanish nationality residing in Spain and having developed or developing his activity in the areas of Nutrition, Food and Health in its basic, clinical and applied aspects. The laureate will be announced before the end of the year. 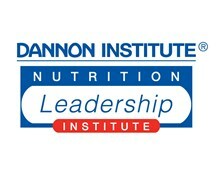 The Dannon Institute (USA) created the Dannon Institute Nutrition Leadership Institute in 1998 to exemplify its commitment to the development of leadership in nutritional sciences and the promotion of excellence in research. To further support this goal, the Dannon Institute created a complimentary program, the Dannon Institute Academic Mid-Career Nutrition Leadership Institute, designed to define and support the 21st century leadership needs within the academic discipline of nutrition for faculty who have completed their terminal degree training 10-20 years ago. The Dannon Institute Academic Mid-Career Nutrition Leadership Institute consists of an intensive three-day training program.